Yesterday's story about Bowker's doomed efforts to measure the ebook market through ISBN registrations reminded me of a related story which had been languishing in my draft folder. Just about everyone agrees that indie authors generally don't use ISBNs on their ebooks. I've been pointing that out for almost four years, and it's not hard to find a dozen posts why authors shouldn't bother with ISBNs. But have you ever considered the case_for_ ISBNs? An ISBN is effectively a serial number for a book. A print book must have an ISBN or it can't be sold in most bookstores (nor even on the bookstore's website), but Amazon and the other major ebook retailers don't require that an ebook have an ISBN, and so some indie authors think an ISBN has no value. In some ways they are right, but at the same time they are also wrong. Yes, few distribution channels require an ISBN, but at the same time revenue from those distribution channels can justify the cost of buying ISBNs. Author Karen Myers presented a business case in favor of ISBNs a few weeks back in the comment section at The Passive Voice. She bought a thousand ISBNs from Bowker for $1,000, and has so far used 80 of them. Myers has argued that one should buy an ISBN as a way of future-proofing, but also that there is a business case to justify the expense. I publish a book, digital only. I don’t bother with an ISBN number. I distribute it on Amazon, which assigns it an ASIN number, an Amazon product code. I distribute it on Barnes & Noble, which assigns it an EAN number, a B&N product code. I distribute it on Kobo, which assigns it an ISBN number owned by Kobo, so my book will appear to be published by Kobo, not me. I distribute it on Smashwords, which assigns it an ISBN number owned by Smashwords, so my book will appear to be published by Smashwords, not me. With the exception of Smashwords, none of these identifiers appear within the eBook itself. And now, let twenty years go by… Barnes & Noble and Smashwords are out of business. Amazon changes its product code conventions and no longer uses ASIN numbers. There is no searchable database made available by Amazon for the old ASIN numbers. Kobo, which owns the ISBN it provided, controls what the Bowker Books In Print or successor database contains and updates the information about your book in ways you would not approve of, and since you have no ISBN number of your own that’s the only record of your book in Books In Print. Someone who chanced across a reference to your book based on an old copy from Barnes & Noble can’t find it because the B&N identifier is no longer alive, and may or may not connect it with a Kobo record in Books In Print which has a completely different identifier. That is a cogent argument, and so is Myers' point on the cost-benefit of buying ISBNs. Yes, everyone says that authors don't need an ISBN to reach the vast majority of the ebook market, but as it turns out that is an over-generalization. It may be true for the market as a whole but it is not necessarily true for an individual author. Print is 21% of my units sold, and more than half of that is from physical stores and other vendors requiring ISBNs. All of my audio sales are through a distributor that requires ISBNs. About 5% of my ebook sales are through distributors that require ISBNs, and that includes libraries. Those are modest numbers — about 16% overall — but those are all sales that would not have occurred without ISBNs. So a one-time, $1,000 investment has enabled 16% of Myers' units sold. I can't speak for you but that strikes me as a good return on the investment. Myers has shown that buying ISBNs is on par with hiring professionals to edit and finish a book. The two are similar in that authors theoretically don't need either an ISBN or paid assistance, but a judicious investment can pay off in increased revenue. That may not win over those who argue against ISBNs on ideological grounds, but any author who approaches book publishing as a business needs to look past the ideology and look at the figures. The math says that buying ISBNs can pay off, so to hell with the ideology. Your choice to use, or not to use, ISBNs won’t do damage to anyone anywhere, so far as I can see. That being so, I think we should leave ideology out of this decision, and make it on purely pragmatic grounds. Either you’ll make more money with your own block, or not. For most self-publishing authors, nothing will help them make more money. They’re going to sell a few dozen copies of each title, and no choices they make will change that by more than a factor of two. But there are a few — maybe 50,000 — self-publishing authors, whose work will sell in the thousands of copies per title. Those few really should think things through a lot more carefully, and with a lot more detail, than most of them seem (from online comments) to do. They, too, may decide not to put ISBNs on ebooks, but it’s not as simple a choice. ISBNs designate the publisher for all practical and financial purposes. If you buy a block, they don’t cost much per number. Even a block of ten only prices them at $25. And if you’re making a career of this, you should get a larger block. You REALLY need to have ISBNs on your print editions, even if you’re only printing POD and can get one from CS. Think about the issues if you need to ditch CS and go with a less expensive printing option because your book is breaking out. If you’re doing a few dozen print editions over your lifetime, then you might as well buy the block of 100, and if you’re not doing more than 50 print editions in that lifetime, you don’t lose anything by putting them on your ebooks. Will you gain anything from it? Maybe, and maybe not. But if it costs nothing extra, why not do it? The ISBN is one of the book industry’s most successful and enduring creations and has streamlined the supply chain throughout the industry. So much so that the principle has spread much more widely than books and most items sold are now identified by a globally unique barcode containing 12 or more digits. The paradox here is that while a single identifier for a physical book is very useful, the interconnectedness of the internet means it has the potential to be even more useful for ebooks. Most consumers won’t use ISBNs because remembering and correctly quoting a 13-digit number is onerous and prone to error. But on the internet they don’t have to since links can contain that information and transmit it without any problem. Also, physical shopping means you might visit one or two bookshops in a single excursion and in a localised area. Perhaps half a dozen if you’re enthusiastic or desperate. But in cyberspace you could easily visit lots and if each recognises the ISBN correctly the process can be made very simple for the consumer, wherever they are. For example, one can use the same ISBN for retailers as widely scattered as . . . Better still, using a service such as Go2B.uk a single link can give the reader the choice of several dozen retailers, linking directly to that book on whichever the reader chooses. (Disclosure: Go2B.uk is my project). (A minor addition improves results for Amazon). Since most indie authors have global rights to their books and many use distributors such as Smashwords, Draft2Digital or StreetLib it is normal that the books will be listed on many websites and around the world. Using a single ISBN means a link on social media, in a blog or on an author’s website can also work around the world, not just in the US or a handful of countries. The “ideological grounds” seem to be primarily objections to the cost of small numbers of ISBNs in the US and UK. I agree that these seem to be excessive. But rejecting ISBNs entirely is rejecting their potential benefits as well. The channels that require ISBNs–outside of pass-through sales to Apple, B&N, and Kobo, with all of whom you can sell direct instead and save 10%–in total move basically zero units. Outside of the US, you can reach 90% of the UK ebook market without an ISBN. Same for Canada, Austrailia, and the like. Some individual authors–particularly the lower-selling ones–love to point out long lists of no-name channels that require ISBNs. They like to cite their own atypical sales footprints wherein a significant fraction of their individual sales happen to come from some no-name channel or another. But that’s only because their overall sales are low, which makes it a pretty weak argument. Once they manage to scale up their own overall sales, they will see their percentage from those other, ISBN-requiring no-name ebook channels drop into irrelevance. That’s simply the reality of English-language ebook sales today. The total volume of sales moving through ISBN-requiring channels is trivial. In total, all those channels add up to 1-2% of the global English-language ebook market at most. If any of those channels hope to survive and attract the best ebook content, they’ll probably soon drop their ISBN requirement. 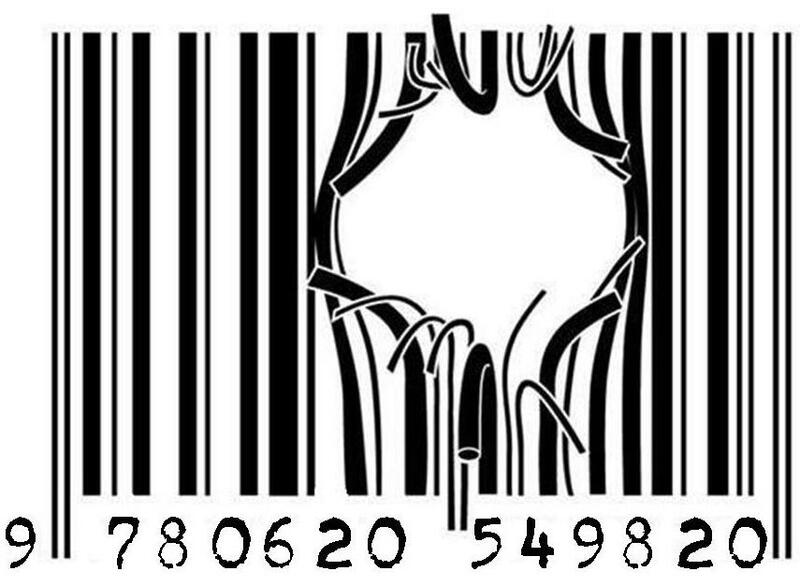 Buy ISBNs for your print books. They are necessary for broad print distribution. But for ebooks, you don’t need ’em. It’s very poor logic to conflate one with the other. Smart Debut Author, I agree with you in most of your points. But all of them are based on the idea that the current situation will continue. I don’t think it’s stable, and I do think that significant changes are likely. So, if you must have a block for your print editions, and you’ve bought a block of 100 instead of a block of 10, you probably have more numbers than you’ll use in a lot of years. So, since the cost is sunk, and using those numbers costs no more than leaving some fallow, there’s no harm in assigning one number to all ebook formats lumped together. You might gain from it, and you might not, but there’s no downside. Marion, I agree that there’s zero downside to putting ISBNs on your ebooks… as long as you’re not spending extra for them (and for indie authors selling paperback &/or hardcover editions of their books at multiple retailers will already have paid for a batch). Right now, there’s really no upside, either, though. At any point in the future, though, if an ISBN-requiring digital channel does emerge that actually can generate significant sales, I’ll just slap those ISBNs onto my ebooks retroactively. For authors like me, it’s no big deal. I think the issue only exists for authors just starting out and publishing digital-first or digital-only. Most of those authors need to be careful how they allocate their limited publishing startup funds, and for them, ISBNs are a terrible waste of money compared to better editing, better cover art, etc. Which is why I have a negative reaction to articles like this, recycling well-meaning but uninformed pro-ISBN arguments we often hear from low-selling newbies who seem to desperately want to be perceived as “legit” by the traditional industry. It’s essentially the blind leading the blind. It’s definitely a point to consider. I’m in a difficult position with ISBNs as a German indie author. Yes, I can publish print through CreateSpace and use their ISBN. This doesn’t help much with distributors, though, and definitely keeps my print book out of German distributors. Which does’t matter much for my English language books, but I’m about to self-publish a German novel. As a German, I can only buy ISBNs through a German agency. That agency offers single ISBNs for 91 Euro each. If you want to buy larger packages you need to “be” a registered publisher, but then you only pay 94 Euro for 1,000 ISBNs. The new law for book-price-fixing on ebooks states that indie publishers are exempt from it. If I slap my expensive indie ISBN on my ebook, that might be proof I’m indie and can change the price of my ebook at will. If I register my business as publisher in order to get ISBNs for an acceptable price, and thus am able to enter the classic distribution channels – then I’m fully succeptibe to price-fixing-laws.